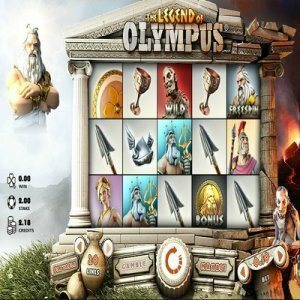 [miau] Microgaming has delivered a truly fun and excellent new slot game in the form of The Legend of Olympus. The slot is part of the Quickfire gaming platform and truly does live up to all the expectations you have come to expect from the platform. If you assumed this slot game is one based on images and visuals from ancient Greece and Greek mythology, you would be 100% correct. The legends of Greek myths are things we read about in school and enjoy on television and in the movies. Why not take that same enjoyment to your slot machine game session. 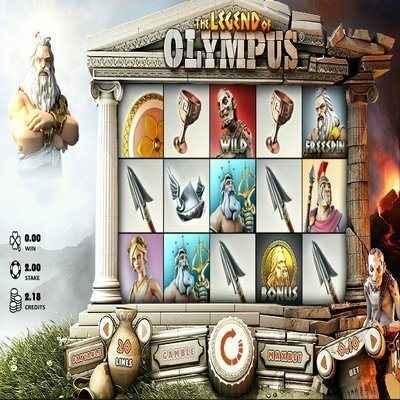 The graphics of the slot game include images of the mighty Zeus and his nefarious brother Hades among others. You are going to be extremely happy when three different Zeus figures turn up because this indicates you get a free spin. That free spin could turn out to be enormously lucrative. We also see the classic Greek temples as a backdrop to the events of the spin. Graphics do mean a lot with slot games because you do want something appealing to the eyes or else you really are not going to have much fun at all. The weird sound of blowing wind and eerie music definitely adds to the ambiance of the legendary Greek mountain of the gods setting. The setup of the game on the screen features five reels and 20 lines. You definitely are going to get quite a host of combinations out of that set up. Who knows? You may very well get an amazing payout if you make a rather interesting wager. How many coins can you hope to win? The biggest coin payout is 20,000. No, that was not a typo at all. If Zeus or Hades turn up in fives, you get a full 20,000 coin payout. The Hades icon is also a wild one meaning the presence if the leader of the underworld, well, it is not such a bad thing after all. You even have the option, at certain points, to provide Hades with gold coins in order to access a bonus game. Do you like a lot of variety in your stakes level? With this slot game, stake levels are adjustable. As a result, you have a lot of flexibility in terms of the stakes you wish to play. Serious slot machine fans will appreciate this benefit enormously. The Legend of Olympus is truly an outstanding slot game. Anyone who has a real love for slots – and Greek myths – should give the game a try.